Hey Zedman... 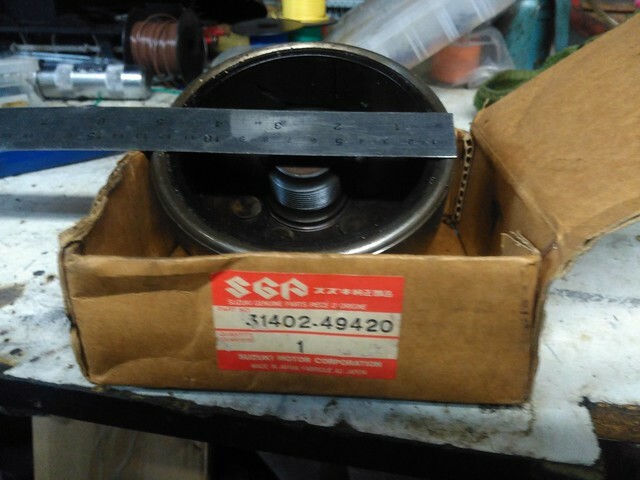 I can't promise this part number is right for your Kat, but I used the 1983 GSX1100SD parts fiche over on Alpha Sports to find it, and it came back as the same flywheel for a 1982 GSX1000S on Mick Hone's list. according to the service manual it is for SZ. For SD, it is 31402-49340. Last edited by GSX1100SXZ.JP; 04-12-18 at 09:10 AM. Rotors are much the same there's variations in diameter width weight and puller arrangement, and starter clutch.